Don't miss the cheese cake! Be there when the Torah is given for the 3,327'th time. 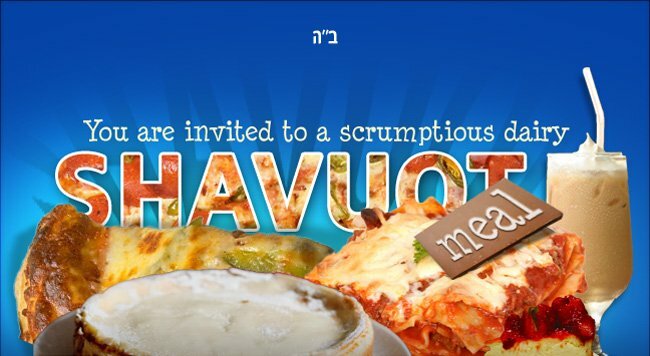 The Torah reading will be accompanied by a scrumptious Shavuot dairy feast. All taking place on the first day of Shavuot, Wednesday, June 4, 2014. Morning service 10 am, torah reading 11:30 am, Dairy Lunch 1 PM at the Chabad Jewish Center. We are located at 10 Ave Corner of 6 street , (2nd floor on top of oxxo) Playa Del Carmen. Shavuot, celebrated this year May 26-28, 2012, marks the anniversary of the day when we received the Torah at Mount Sinai. It is the second of the three major festivals (Passover being the first, and Sukkot the third), occurring exactly fifty days after the second day of Passover.